The United Nations Climate Summit has been meeting in New York this week, drawing a slew of celebrities and heads of state. But the UN wanted the voice of a citizen, rather than a high-powered dignitary, to speak at the summit's opening. 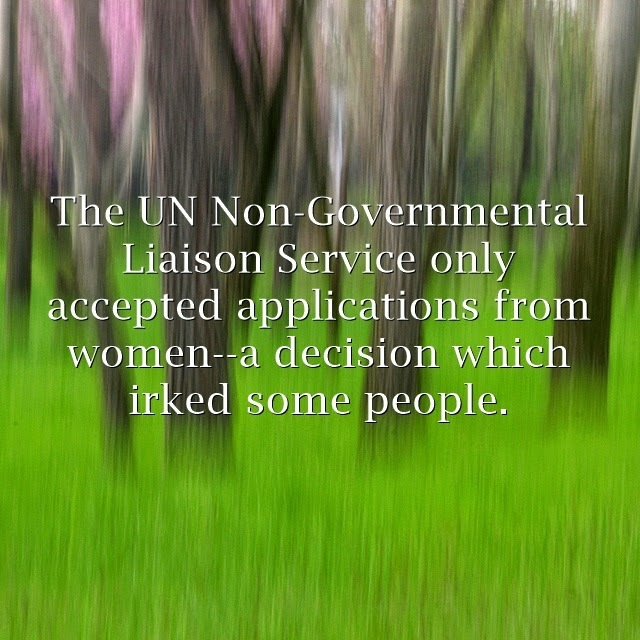 The UN Non-Governmental Liaison Service only accepted applications from women--a decision which irked some people. The UN explained the requirement by noting that women are among the world's poorest citizens, and are in many places the ones responsible for maintaining a community's fuel, food and water. Both of these factors make them likely to bear the brunt of climate change. Marshall Islands poet and activist Kathy Jetnil-Kijiner was chosen for the speaking honor from 544 nominees. She began with a short, formal appeal to the summit, but finished with an emotional roar of a poem that seemed to stun some in the audience. Jetnil-Kijiner has been on the international stage before, including a notable reading at the 2012 Poetry Parnassus in London, and her work doesn't shy away from confrontation. She credits women like her mother (the Minister of Education for the Marshall Islands) for encouraging her activism, but acknowledges that it has been an uneasy role to take on at times. "I definitely feel pressure at home, where Marshallese girls are quiet and nice," she said recently. "However when you look at our past, when you look at our culture, it's actually rooted in women who were really powerful women who speak out." Jetnil-Kijiner's poem delivered at the summit, "Dear Matafele Peinem," is a promise to her daughter that she--and the rest of the world--will do something to avert the threat to her future. It reminded me in a way of a classic bedtime story, where a monster appears but the parents promise to keep their little ones safe from harm. As an adult, I found it especially chilling because it's one of those promises that we aren't yet sure we can keep. Lose the lectern, and gain an audience. The start of Jetnil-Kijiner's speech is solid, but it really gathers strength after she steps away from the lectern. Watch for the contrast between her hemmed-in position at first, and then her free hands and visible body when she steps to a bare mic to deliver her poem. Can you imagine those verses half-hidden behind the lectern? Stepping away gives her a change to expand and be fierce and push directly toward an audience that probably is not used to being confronted so personally. Find a way to work in a story. Jetnil-Kijner has been researching Marshall Islands storytelling traditions, and she begins this talk with an tale about 10 brothers and the first sail, a significant moment in a world surrounded by water. It takes no time at all to tell, but it brings immediate color to the speech and easily ties together the rest of her remarks. We're used to learning from stories, and this is a terrific example of how to use one in your speech for this purpose. Men say that one day, that lagoon will devour you. They say it will gnaw at the shoreline, chew at the roots of your breadfruit trees, gulp down rows of seawalls and crunch through your island's shattered bones. But she was no less careful with the words in the more formal part of her speech. She sets the tone for the meeting itself by using phrases such as "radical change," "unavoidable impact" and "irreversible loss." Their bluntness is her challenge to the summit's attendees to move beyond discussions of if and when and to confront climate change's here and now. You can watch the full speech in the video below. What do you think about this poet's moment on the world stage?